Get the dazzling white smile you’ve always wanted fast at Holt Dental Care. Dr. James Holt is an expert with teeth whitening procedures using the Philips Zoom® Advanced Power Teeth Whitening System. Zoom® allows for IMMEDIATE results. This preferred whitening method can whiten your teeth up to 8-12 shades vs. the 2-3 shades you get from over-the-counter products. Don’t put off that white smile that you’ve always dreamed about. 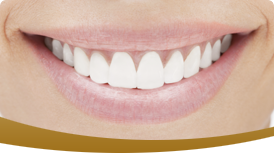 Call our office at (817) 488-2273 to schedule a Zoom® WhiteSpeed teeth whitening consultation.